Invierta en los proyectos más prestigiosos de Miami y revalorice su dinero. Este es un excelente momento para comprar propiedades en pre-construcción. El mercado inmobiliario se ha fortalecido haciéndose muy atractivo para nuevos residentes e inversionistas. Los más prestigiosos desarrolladores de Miami están ofreciendo muy buenos incentivos para compradores con excelentes facilidades de pago. Permítame ayudarlo con la compra de su inmueble. Llámeme ya! Since 2004, I have been committed to different aspects of residential real estate sales, from low-rise to high-rise condominium projects. 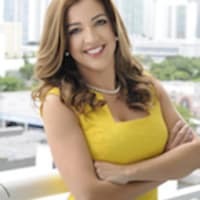 My experience goes from starting as In-House Sales agent for luxury ocean front new developments in Fort Lauderdale, to working with prominent Miami developers as Sales and Marketing Director in the high-rise city of Brickell. My areas of knowledge include important cities such as Brickell, Edgewater, Doral, Aventura, and Sunny Isles in Miami-Dade County. In Broward County, I specialize in Hallandale, Cooper City, Davie, Plantation, Weston and Fort Lauderdale, among others. As a professional REALTOR®, my client’s satisfaction is a top priority.I keep up to date with law changes, market conditions, pre-construction and investment opportunities to offer vital information to my clients, so they can take the best decision. My market expertise, language (English and Spanish) and negotiation skills will work to your advantage. Whether you are a seller looking a sharp listing agent to sell your property or a buyer looking for the best home deal in the market, I will help you to meet your real estate goals.